210 N Church Street #3509, Charlotte, NC 28202 (#3472327) :: Caulder Realty and Land Co. 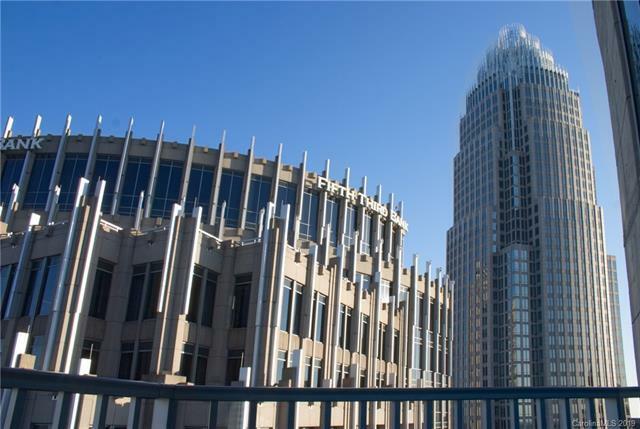 Stunning move-in ready 35th floor condo in Uptown Charlotte 2 blocks from Center City. Most popular 1BR/1BA layout in building. Fully walled-off bedroom, PENTHOUSE level, 10 ceilings, dark hardwood floors, SS appliances, granite countertops, floor to ceiling windows, balcony w/city views, and 1 deeded parking space. Many UPGRADES include: custom walk-in closet & window shades, modern ceiling fan, Nest thermostat, dimmer switches, August Smart Lock, USB outlets, and Google Fiber access. Building is pet friendly with LOADED amenities: heated saltwater pool, outdoor grills, fire pit, 1700 sq ft gym, yoga studio, sky lounge, 24/7 concierge, Amazon Hub Lockers, and more. Only blocks from everything uptown has to offer: restaurants, grocery stores, nightlife, professional sporting events (Hello Panthers/Hornets/Knights! ), light rail, street car, parks, museums, music venues, etc. City living at its finest!